The beta phase for our new SAP Gateway Demo system that was announced by Jonathan Baker in his blog Netweaver Gateway Demo – ES5 now in Beta! is now over and we can thus announce the availability of our new “production system” ES5. As Jonathan already wrote we look forward to your feedback and encourage you to use our new system since ES4 will be shutdown in the future. The new SAP Gateway System is based on SAP NetWeaver 751 and thus comes with several new features as opposed to the predecessor system ES4 which was based on SAP NetWeaver 740. 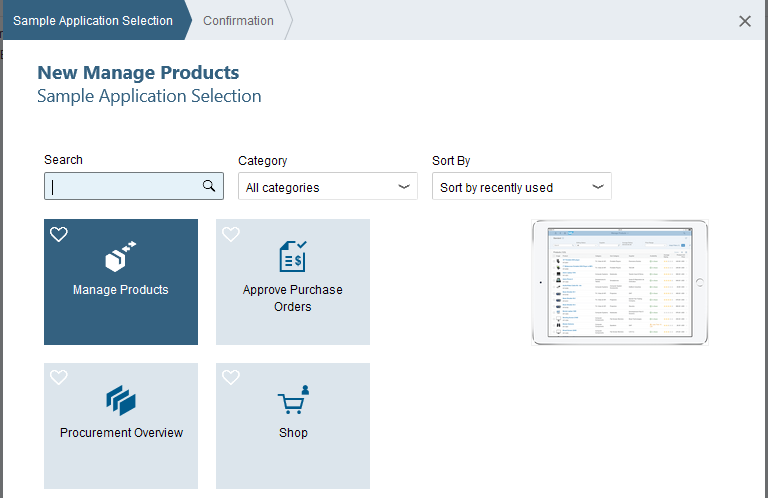 For all users we have configured SAP Fiori Launchpad where you will find four applications that have been deployed. You can use SAP Web IDE to develop SAP Fiori applications on top of the demo services that are provided in the SAP Gateway demo system. As an example you will find OData services that allow you to create SAP applications based on SAP Fiori Sample Applications. A SAP Fiori Reference Application used to demonstrate a shopping scenario on the EPM model This is a full screen application. A SAP Fiori Reference Application used to demonstrate an over,new ofthe EPM model. This app is based on the new SAP Fiori Elements Overview page. There is also the well known basic sample service GWSAMPLE_BASIC available that provides you with a practical, working OData service with meaningful content that supports basic OData operations. In ES5 there is now also a first demo service available that supports OData V4. More details can be found in the following blog OData V4 code based implementation – Overview. Using this link SAPGUI for HTML access you can log on to the system using SAPGUI for HTML.You will see the following logon screen: Access is a restricted to read-only access for developers though. Reason is that otherwise the stability of this system could not be guranteed.